Happy 2019 and Hygee Ho! Sounds like a salute of some sort but really, I'm just having fun with a word that's making it's way around the internet these days: hygee. I love saying this word. It's pronounced hoo-gah. Reminds me of "hug" and it's Danish interpretation is not that far away from that; roughly translated, it implies an attitude of coziness and spiritual warmth. Those Danes have a great sense of language I tell you. While there is no literal translation in English, I think we can all understand the sentiment of snuggling in during the cold winter months with a blanket, great book and a warm cup of tea. At least that's what I've been doing the past few weeks. I'm not sure what it is about the transition from the December solstice into January but I always find myself both nesting and sleeping. A lot. It feels like a time when I'm simultaneously clearing clutter, getting organized and gathering my resources. And, quite frankly, there is a lot percolating beneath the surface for 2019. But back to hygee and that cup of tea. I read a more thorough explanation of hygee that I really appreciated. It suggested that the Danes endure the darkness of Scandinavian winters by celebrating the simplicity of the every day ritual: lighting a scented candle, enjoying a meal with loved ones or simply sharing a pot of tea, as a way of fostering kinship, friendship, intimacy and contentedness. Hygee sounds like it should be the general header of "Lifestyle Basics" in the book of Wellness, doesn’t it? So now that we're all thinking about tea, what is my favorite tea to drink for general wellness and to of course, lower stress and anxiety? Rooibos. Other wise known as African Red Bush. Sounds exotic right? Like you should be drinking it around a campfire on safari with a native tour guide clad in vintage cargo wear. Or perhaps just your dorm room. That's ok too. The reason I usually drink Rooibos exclusively is because it's caffeine free. Yes, it's loaded with antioxidants. And yes, several Stellenbosch University studies have shown that Rooibus in robust quantities (at least 6 cups) may be an agonist to cortisol, one of our primary stress hormones. But I personally made a move away from caffeine over ten years ago and my blood sugar finally began to stabilize, lessening much of the physical anxiety I was experiencing at that time. Reducing caffeine is a pivotal step in reducing the symptoms of anxiety. Reducing caffeine? As in, give up my morning quadruple shot, Venti latte, you ask? Yep. That’s what I’m suggesting. Few people know that the reason our morning Cup 'o Joe is so awakening is because caffeine stimulates your adrenal glands to produce adrenaline. Adrenaline in turn, communicates to your body that blood sugar needs to rise. Unfortunately, it's in absence of a true emergency, (and getting to class or a meeting does not count)! But what’s the result? A quick blast of energy that feels mobilizing, because it is. Just not for the right reasons. Like a vilified contestant on The Bachelor reality series, it looks and sounds great initially until the full picture comes into play: the late morning slump. What's happened to our “get up and go", you ask? It went out the door when our bodies try to regulate the spike in blood sugar with insulin to bring it back down to normal levels. Except, a spike up always precedes a spike down. Now our blood sugar is too low and we can start to experience the common symptoms of hypoglycemia that mimic anxiety: brain fog, heart palpitations, and dizziness--sound familiar? So yes, my readers, I tell all my clients that caffeine needs to be highly restricted in order to get off of the roller coaster that is blood sugar dysregulation. This is a pivotal step in managing symptoms of stress and anxiety. I can not stress this enough (pun intended)! There are some great tea companies out there and many of their products can easily be shipped or found on Amazon if your local health food store is not well stocked. I like Rumi and Republic of Tea for their wide selection of Rooibos blends. Teatulia is another reputable, organic brand. My favorite one currently is straight Rooibos from Rumi. I love adding a splash of almond or coconut milk to mine to make it more luxurious and flavorful. If you fancy green teas, you may want to try the flavor of this this unroasted rooibos. That said, if you prefer a true punch of natural sweetness and flavor, RoT has a great blend called Good Hope Vanilla that might just be the starting point for a perfect hygee afternoon! Having a handful of relaxing evening rituals is a great primer to your body that the day is winding down. 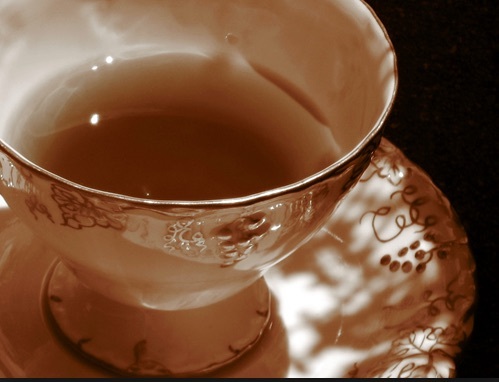 Sipping a warm cup of rooibos tea is one trick in my arsenal for readying my body for sleep. What kind of tea (s) do you like? 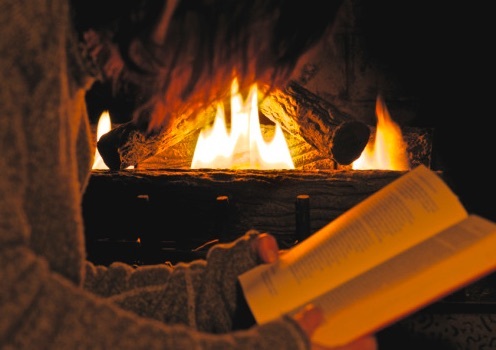 How do you create a sense of warmth and coziness during the Winter months? Do you share your time with friends? Please post in the comments below! Hygee Ho!